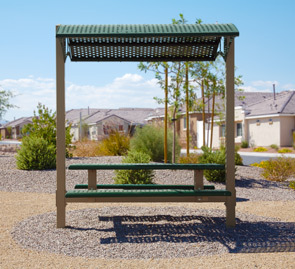 Two-in-one design includes 6' picnic table with arched shade canopy. Provides a permanent shade structure that shields from the sun's UV rays and protects the picnic table from damaging weather. You can be sure this combination picnic table will be a favorite shaded rest and eating area. 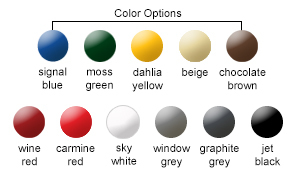 Two-post design will be appreciated by landscape crews for its easy maintenance. Ideal for playgrounds, parks, forest preserves or an outdoor lunch eating area for your company. 85-1/2"L x 78"W Overall Dimension. 4" x 4" Square Dual Pedestals.